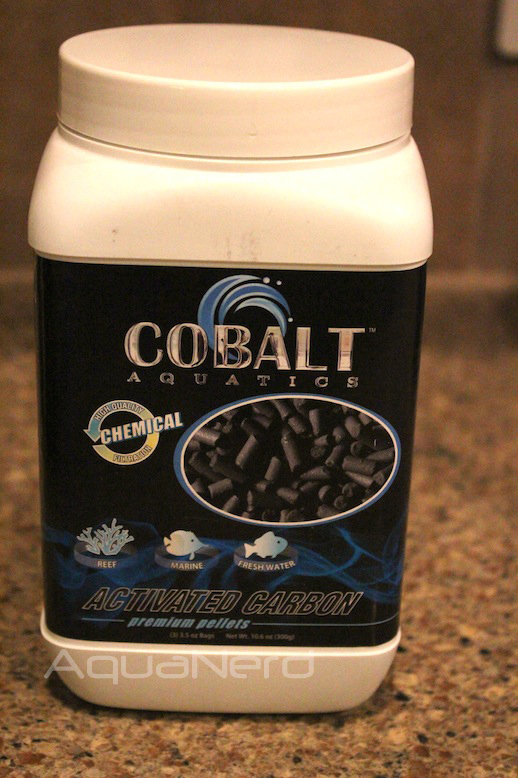 It was time to restock a few supplies for the several aquariums in my care, and this week carbon was numero uno on the list. I proceeded to the nearest fish store and began looking over the selection as usual. Normally, I’m not too picky about my carbon, as all of the brands perform the same general function. That said, there was a new brand on the shelves that piqued my interest. The carbon was from Cobalt Aquatics, and it was the last one on the shelf so I decided to give it a shot. After all, I’ve tried so many other brands and Cobalt has a good reputation, so off I went. To clarify, Cobalt Aquatics isn’t exactly new to the aquarium scene, but the local fish store had just started carrying it. The first thing we always notice about a product is its packaging. The Cobalt Aquatics carbon wasn’t overly exciting in that aspect, but its lid was a bit different than what we’ve seen offered. 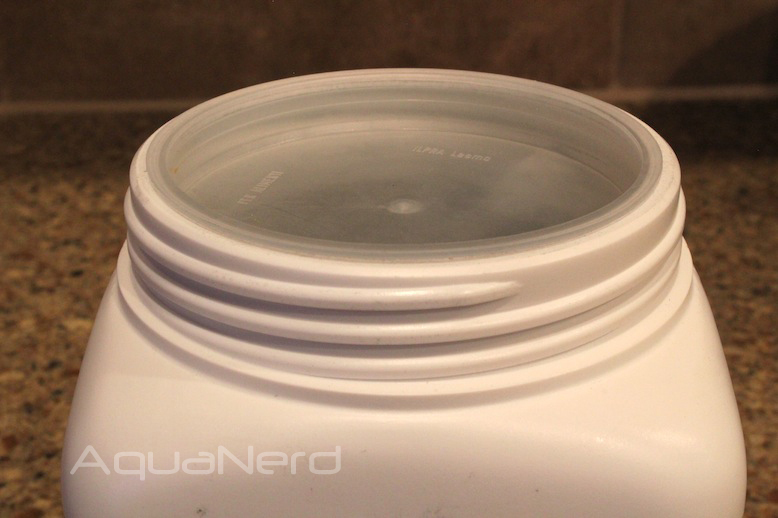 Under the screw-on lid, a large plastic stopper filled the opening of the container. Usually, we see that thin papery material that seals in the freshness, but this plastic insert was far superior to that. Digging into the container itself, we found three individual packets of carbon. 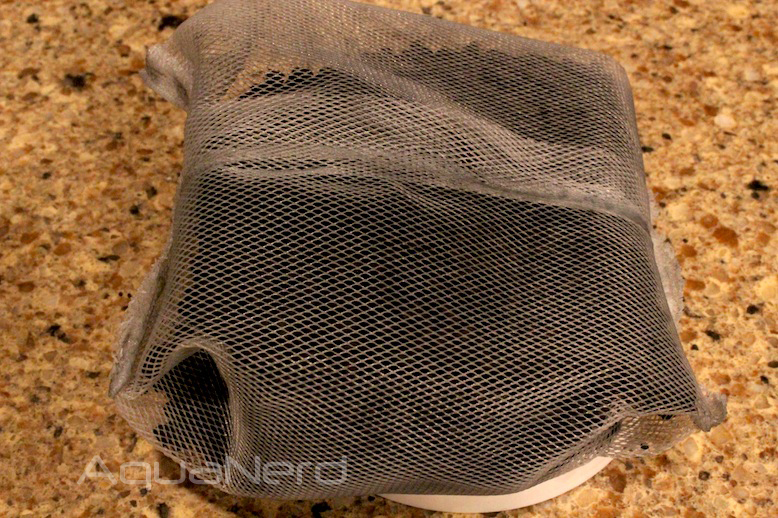 The mesh packs were not made of the standard cloth material, but seemed to be of a thicker, almost plastic-like material that felt far more durable. This pre-packaged carbon is obviously good for just tossing it into a sump or an area of high flow, but for people who like to place the carbon in a reactor, it would obviously need to be freed from those bags. Realizing that the carbon was in packets, I began to peruse the product label for recommendations, such as the number of packets per volume of water. Looking it over thoroughly, we didn’t find anything. There was no instruction to wash the carbon, no indication of the size aquarium a single packet could handle, and virtually no other writing other than a brief statement about what the carbon can do. I found this a bit odd, but threw caution to the wind and placed all three packets in the tank and in different areas. So far, I haven’t seen anything from this carbon that would make it appear better or worse than any of the other brands, except for maybe the lack of carbon dust that came out when I washed it in RO/DI water. The tank looks clean and clear, a typical result of carbon use, but that’s about it since we can’t really judge the carbon by its performance in a meaningful way. So, we’re left with a very subjective measure of how well it does, and like I said, the tank looks clear and the water doesn’t have any tinge to it, so the carbon is working as it should.